Before your journey to B.O.S.S level status you need to ask yourself some questions to help determine your readiness to embark on this journey. It’s something we have to ask ourselves before we even begin the process of building our business. Being an entrepreneur is more than just sitting in a cute office, making connections, and making money. There’s a lot of hard work that goes into it. Lot’s of late nights, research, reevaluating marketing efforts, reevaluating goals, dealing with failures, dealing with taxes and legal stuff and so much more. Who's cut out to be an Entrepreneur? To me, I believe anyone can be an entrepreneur. If you ever had the thought of working for yourself then it's possible for you to be an entrepreneur. The problem comes in when you don't have the necessary tools it takes to push forward. Entrepreneurs have traits and characteristics that make them successful in the business world. 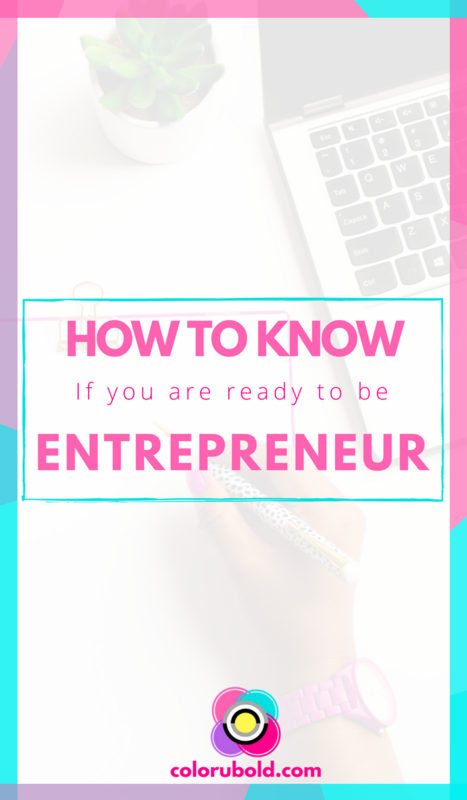 If you are feeling uncertain, it’s OK. That just means you still need to grow and build yourself up before you can consider yourself an entrepreneur in the making. I want to share with you 5 questions that has helped me in determine where I was on my entrepreneurial journey. 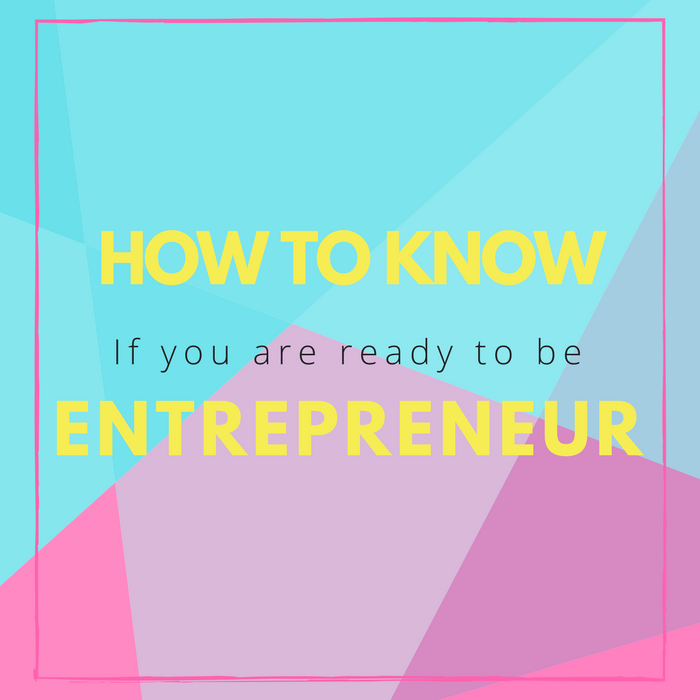 6 Questions to ask yourself to find if you are ready to be an Entrepreneur? Do you feel the need to create? Entrepreneurs are creative human beings. No matter what type of industry they go into they strive off of being creative. They need to crave creativity in order to make it in a business. Every decision they make is a creative calculation. Without this desire you want be able to accomplish what you need in order to make your business successful. Do you believe in this quote: "I'm too creative to have a 9 to 5." Have you always felt the urge to work for yourself? Are you working a nine to five and you feel there is something more out there than working for...THE MAN! Do you have an urge to create something that is all your own and no one else. Do you believe in this quote: "Build your own dreams, or someone else will hire you to build theirs." Do you have knowledge in a certain area really well? You need to have some knowledge to begin anything. As you progress in your business you'll be able to outsource certain things that you are not knowledgeable with to others on your team. What are your strengths, what are your weakness. What can you learn and what can you outsource in the future. If you don't know your industry well enough you need to research more and really get as knowledgeable as possible. It's beneficial to have solid experience before starting any business. Do this quote resonate with you: "If you can't explain it simply, you don't understand it well enough"
Do you find yourself researching the industry you want to work in? You need to validate your idea. Are other people doing it. A problem needs to exist before it can be solved. Some ideas are too ahead of it's time. People will not be able to understand it very well. The market conditions need to be just right before you should take the leap into a new venture. So just because an idea may not be out there right now doesn't mean it won't ever be. Do you believe in this quote: "All dreams are valid"
Do you like to work with others or alone? Despite what you think being an entrepreneur isn't about working alone. You need team players to make your dream come alive. Yes, starting out solo is often how entrepreneurs get started however as you progress you need people backing you up. It's teamwork that will push your idea to the next level. Do you believe in this quote: "None of us is as smart as all of us." Do you know what you are really getting yourself into? Starting a business is taking a big risk. It takes ultimate dedication. You will not meet many 9-5 entrepreneurs out there and if you do it's because they've work their way up to the point where they have a team that can help them out. However, chances are they are working late nights to develop new ideas and concepts to keep their business flourishing. As an entrepreneur you have to make touch decisions. You have to be able to deal with things not going well. You have to constantly think of new ideas to make your business strive with every changing current. You have to take risk and risk failure. Do your family, significant other, friends understand this concept? Will they be able to handle the new you? Do you believe in this quote: "Business is a combination of war and sport." Starting a business you love can be tough, however it can be truly rewarding. There is no thrill like building something from the ground up and seeing it thrive. If you were able to say yes to these questions, then you are well on your way to becoming a successful B.O.S.S. There will be a lot of us and downs but embrace them. Build your strengths up, learn from your mistakes, take risk, and risk failure. Entrepreneurship is a long crazy ride...are you ready? 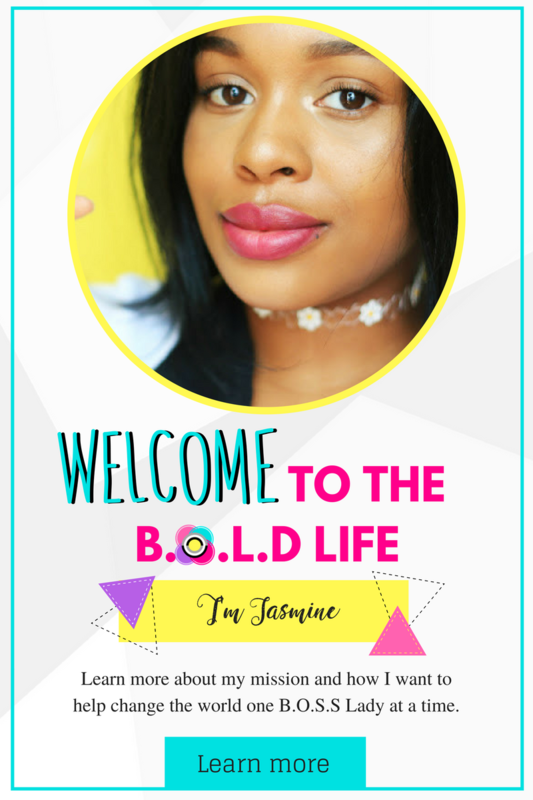 Sign up to get your B.O.S.S Resources to becoming a bad a$$ blogger and business owner! Thank you. Great post. I can answer yes to most, but not all. Still, I'm going to try. 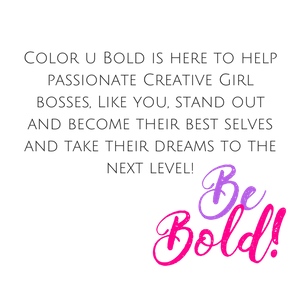 © 2015 Color U Bold. Phoebe Template designed by Georgia Lou Studios All rights reserved.